On many people's 'must do' list when they come to New Zealand, the chance to see a rare and graceful whale in the wild is hard to beat. And with the waters around New Zealand forming the 4th largest marine territory in the world, and with a whale migrating route passing straight through it, you could not be in a better place to see them. There are some excellent whale watching opportunities to be had here with the major places being Kaikoura and Auckland’s Hauraki Gulf. New Zealand's ultimate all year round nature experience offering visitors exciting close encounters with Giant Sperm Whales. 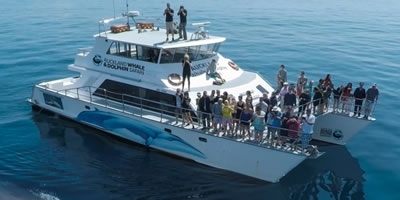 Don't miss this unique whale and dolphin tour aboard New Zealand's only research focused vessel that is open to the public. 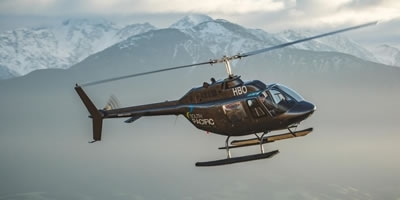 Provides a unique perspective of the amazing Sperm Whales and the other abundant marine life found in the area by helicopter. 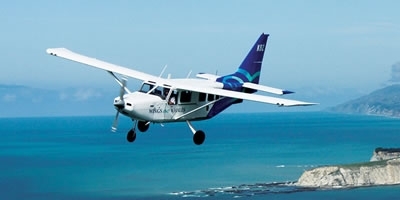 Head for Kaikoura and go whale watching by aeroplane! See whales, dolphins and mountains from a unique perspective. There really isn’t anything more amazing and jaw dropping than seeing a majestic whale in its natural habitat. And lucky for you, you are in one of the best places in the world to see some of these amazing animals. And if you are interested in seeing one type of whale in particular, then check out our handy Whale Watching Guide at the end of this article, which also gives you the best months to see them. Here are some of the best places to go whale watching in New Zealand. Kaikoura, on the east coast of the South Island, is one of the only places in the world where you can easily see sperm whales. The resident population of huge sperm whales can be seen here all year round. Orca (or killer whales to most!) can be seen from December to March, and humpback whales from June to Aug. If you are extremely, extremely lucky you may also catch a glimpse of a world’s largest mammal, the blue whale, which can be seen throughout the year as they are passing through the area. You are also very likely to see dolphins, fur seals and marine birds all year round. What makes Kaikoura so special is its location near to the Kaikoura Canyon - a continental shelf known for its extremely deep, cold trenches. Which, when added to a warm passing currents, it causes nutrients deep within the ocean to be carried upward creating nutrients rich waters that attracts all types of marine life from tiny plankton to dolphins and of course whales. 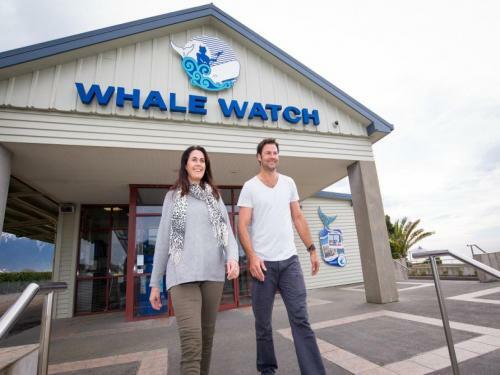 One of the best and most respected tour operators in Kaikoura is Whale Watch Kaikoura, who have extremely high welfare and environmental standards. Which include specially adapted jet engines to minimise underwater noise, non-polluting toilets and internal propellers to avoid any propeller strikes with marine mammals. And don’t just think you can only see whales from a boat…there are several companies offering whale watching flights, where you will be treated to a unique view of them from above, where you can really get an idea of their amazing size. It’s also a great option if you are prone to sea-sickness. 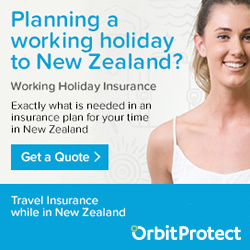 Think you have to travel to the South Island or even leave a large city to see large marine wildlife? Think again! The Hauraki Gulf Marine Park surrounds Auckland and the Coromandel region and is made up of more than 1.2 million hectares, 50 islands and six marine reserves. So its central location makes it a really accessible way to see whale’s whist in New Zealand. This marine paradise plays host loads of marine species. Orcas are known to be regular visitors here as are the common dolphins though you may well see up to four or five different species of dolphin and whales on just one trip. One of those could well be the very rare Bryde’s (pronounced broodus) whale, of which there are fewer than 200 of them in New Zealand, all only found in the Hauraki Gulf Marine Park. 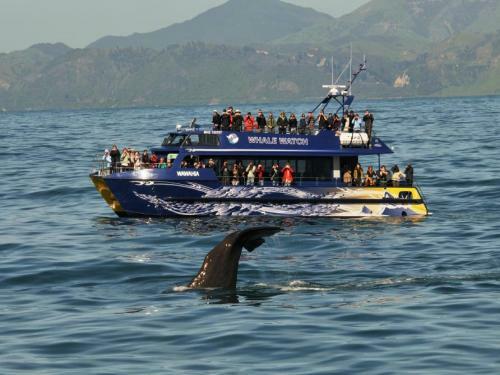 Auckland Whale and Dolphin Safari offer a range of trips leaving from Auckland’s Viaduct Harbour throughout the Huraki Gulf Marine Park and give a probability of seeing a whale on a cruise at 75%, which are pretty great odds! But even better, if you don’t get to see any marine mammals you get to go again for free. Located along the migratory route between the North and South Islands, the Malborough Sounds provide a great option to go and spot a whale or two. Its popularity with whales did come at a high cost however, as during whaling times this area became an epicentre for whalers and whaling. Thankfully, that is in the past and you can go and enjoy these amazing creatures as they should be seen, free and wild in their natural environment. During October and March you are likely to see the very playful and social orca’s in the area and in the months of June and July you may be lucky enough to see an enormous humpback whale as they go on their migration route through Cook Strait. 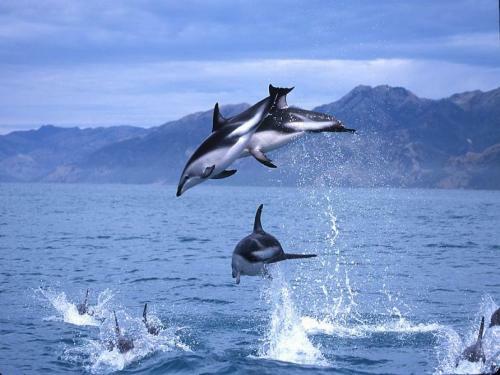 There are also plenty of dolphin species to be spotted in the waters around the Marlborough Sounds, most can be spotted year round and include the bottlenose, common and rare hector’s dolphins. Located in the pretty harbour of Picton are the highly respected and passionate E-Ko tours that run whale, dolphin and wildlife tours within the Sound. They even give you the option of getting in the water with the dolphins, when it’s safe to do so of course. And as a testament to the abundance of marine wildlife in the area is their success rate of 95% of spotting a dolphin whilst on a trip. The other great thing about taking a boat tour within the Malborough Sounds is that the water is generally dead calm, which means it’s highly unlikely you will get seasick! Located in the Bay of Plenty are the sub-tropical waters that surround the active White Island Marine Volcano and nearby Moutohora Island, otherwise known as Whale Island. Most commonly seen in the waters around Moutohora Island are the common and bottlenose dolphins, as well as pilot whales and orca’s. The larger, migrating whales such as the southern rights whale and beaked whale can also be spotted from time to time. The waters around White Island also offer amazing diving and snorkelling opportunities as well, especially around ‘Seafire’ - a ship sunk to create an artificial reef. Whilst there are no commercial, tour operators running whale watching tours out of the Bay of Islands it doesn’t mean you won’t see them! Keep your eyes peeled for passing orca’s or the very rare Bryde’s whales. 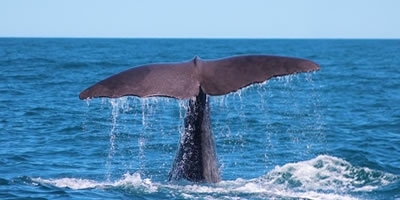 You will most likely to see whales in the area between May and July. It is also possible to see long-finned pilot whales, humpback whales and even blue whales. And obviously you stand a much greater chance of seeing them if you are on the water as well. 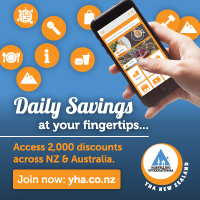 So why not make your own DIY whale watching trip by either hiring a private boat or taking a guided kayaking trip. 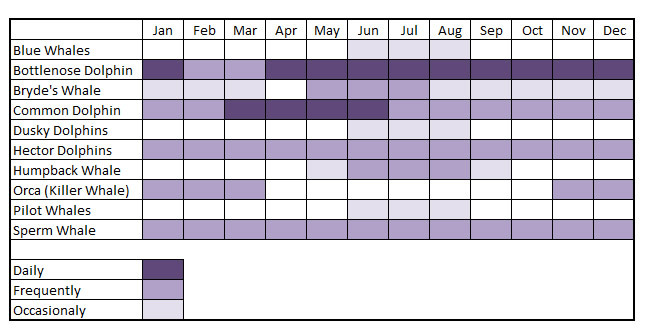 If you are interested in seeing a specific whale in particular then use our handy guide to see an overview of when in the year you are most likely to see them. Or use it to pick the best month to see the most whales.